One of Hawaii's most historic towns is also one of the most eclectic... and it is most certainly uniquely Maui. 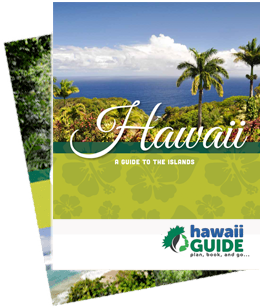 No trip to The Garden Isle would be complete without a visit to the port town of Lahaina to stroll the art galleries, restaurants, souvenir shops, and historic gems sprinkled all throughout the bustling town. Lahaina is most definitely a Maui must see. The main drag is Front Street which you can get to by turning left just before mile marker 20 on Honoapi'ilani Hwy. A few of the many sights in Lahaina include the gigantic banyan tree which literally takes up an entire city block, the historic Baldwin House, the old courthouse, and the old prison. Note that if you're looking for free parking, you may be disappointed. However, if you're willing to pay (and avoid being ticketed) there are a number of parking lots around town. What's the main attraction in Lahaina? Quite frankly, just being there! The town is incredibly popular and has the reputation for being crowded. There are plenty of Lahaina activities, shopping, dining, and entertainment options here. If retail therapy is on your Lahaina to-do list, you can choose from a variety of shops; running the gamut from those featuring cheesy Hawaiian trinkets to beautiful locally-crafted jewelry. Lahaina also has a well-earned reputation as an artsy town, and a wide variety of art galleries line the streets, offering something for every type of collector. If you're looking for something special to take home as a reminder of your Hawaiian vacation, Lahaina's art community has got you covered. Lahaina is best known for its rich history as a whaling port but has also played a key role in the development of the island's sugar and pineapple industries. These activities also attracted large numbers of immigrants whose varied backgrounds and cultures made- and continue to make- Lahaina a place of rich traditions. The town even served as the capital of the Hawaiian Kingdom in the early 19th century. Lahaina is listed on the National Register of Historic Places and its walkable downtown is home to many unique locations. There is no shortage of things to do in Lahaina, as there's something to entertain every type of traveler- from the relaxer to the adventurer. And if you or someone you know loves delicious food (and who doesn't), Lahaina is home to some delicious restaurants offering everything from a quick budget-friendly bite to an upscale splurge. It is also home to shows such as Ulalena and the Old Lahaina Luau. If you're looking to stay for a bit, there are some great Lahaina vacation rentals in the port town. Lahaina is located off of Highway 30 (Honoapi'liani Highway) on the western lobe of Maui.